You actually just reminded me. Trench/underground tech in VBS is also kind of cool. I just uploaded an old video I made showing how it works. Maybe someone already modded it into Arma, I have no idea. Over 100 developers in total working on VBS and related projects. This includes artists, designers, programmers and testers in our three main development studios - Prague, Orlando and Farnborough. Of these, over 20 are programmers working on the RV engine (we have a bunch more programmers working on plug-in development, especially in the Orlando office). Don't know - they scale up and down depending on the number of projects. BIS and BISim are still very close. However, these companies have entirely different business models. BIS builds a game, releases it, and builds the next game. BISim is funded by clients to continuously improve VBS for training. Snow is a good example - it only exists in VBS because the Swedes helped pay for it. Likewise the USMC wanted physics-based destructible buildings. We build it, roll it into the baseline, and move onto the next development. The graphics improvement was funded internally because unfortunately there is a perception that without nice graphics an engine is obsolete. Good graphics are not necessarily required for good training. Good graphics aren't even necessary for a good game, e.g. Minecraft. FTL. Insert a zillion other examples. Immersion comes from gameplay, not from graphics. However, certain aspects, like supporting highly complex 3D models or forcing the engine to render certain or large objects at a far distance, are graphical aspects that do matter for training. BIS is very committed to the Arma community and I hope they plan to add further improvements to keep the community engaged (noting that I don't speak for BIS - I am not privy to their plans). As I said previously, the thermal implementation in Arma was from VBS, and you may or may not see other technology ported across in the future. Please note that we are not waving this technology in front of the nose of the Arma community just for fun. We hope that our VBS clients see these videos and buy more licenses of VBS! If you want to see certain features in Arma, then make a noise and let BIS know :) Regarding our size, we are about 150 employees now and growing pretty fast. Recently at BISim we figured out that it has been 11 years since Bohemia Interactive released Operation Flashpoint, the game that started it all! :cool: So, just to keep things random, we have decided to have our first ever VBS2 Personal Edition (PE) license sale to celebrate! VBS2 PE is a slightly cut-down version of VBS2, our 'game for training' that is used by a bunch of government organisations including the US Army and USMC. VBS2 v2.0 is based upon the Arma2 engine, but there are some nice changes from the Arma2 baseline. We are offering 111 PE licences of VBS2 1.6 (with free upgrade to 2.0) at half price - only $211 USD! Go here for more information and to register! You should also sign up for our newsletter if you are interested in VBS2 happenings. Hi, as most of you are already aware, Bohemia Interactive creates both games for entertainment (e.g. ArmA2, Take On: Helicopters) and also for serious uses (e.g. VBS2). To shape our serious game development efforts we are asking people to complete a short survey. The questions are about military games, including VBS2 (http://www.bisimulations.com/products/vbs2) which is our military tactical training and mission rehearsal game. The survey is at https://www.surveymonkey.com/s/MRHRZQ5 and anyone is welcome to answer, even if you have never seen or used VBS2. We thank you for your assistance! I am very disappointed that members of the Frenchpoint team seem intent on pursuing a public argument about an alleged breach of agreement, despite my polite request to discuss these matters privately. However, in the interest of protecting the reputation of Bohemia Interactive I can provide the following explanation. In response to the posting of a commercial-in-confidence document by NicoBOS05, here, please note that the document shown is a quotation, not an invoice. This means, very simply, that the document is not a demand for payment. Although the authors involved seem to have forgotten, at the time they very much wanted Bohemia to sell their add-ons and we were quoting on their behalf, with their permission. However, as the quote was never executed, the add-ons were never received by BIA and therefore never sent to the customer. Again, I ask the individuals concerned (i.e. the actual authors, not a generic Frenchpoint representative) to contact me privately so we can resolve this matter in a mature fashion, if indeed there is a matter to be resolved. I would also like to reinforce the point that I made previously â€“ Bohemia does not steal add-ons from the community. 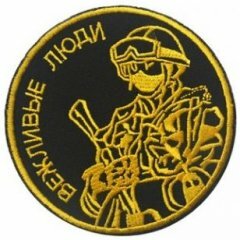 We try to work with mod teams where possible but obviously the Frenchpoint team has imploded and has decided to blame Bohemia, which is a very big shame and quite unfair. Thank you for your understanding. There are two sides to this story. In response to the post by SoldierIsNotHistory, here. As Managing Director of BIA, and the person ultimately responsible for VBS2, I can assure you all that BIA did not â€˜stealâ€™ any French add-ons. BIA received permission to exhibit certain French content at the French trade show Eurosatory 08 and during Phoenix 2008 experimentation, and following these two events we destroyed all copies of the French content. Even today, VBS2 does not include any French content. SoldierIsNotHistory, on behalf of the community I am sorry that you have decided to cease your development, but please do not inaccurately, and publically, blame BIA. If you have concerns I urge you to take them up with me privately, via PM. Likewise, if anyone else in the community has any concerns with any content in VBS2 please send me a PM. Bohemia Interactive requires part-time particle effects scripters to work on VBS2 and ArmAII projects, and develop realistic particle effects based on provided reference data. Payment would be on a per-project basis. Applicants may be required to work up to 25 hours per week. Applicants are required to live and work in North America, Europe, Australia or New Zealand. Interested applicants should email jobs@vbs2.com as soon as possible. More information may be available at the vbs2.com website here. U.S. Army practicing by playing. For the record the application they are using in the first post is DARWARS Ambush!, a modification of OFP. You can tell by the coloured keyboard and the orange looking Humvee on the far screen.